For this nail art i first stamped my nails with mesh design using neon green mundo de unas polish. I applied a layer of top coat over it so that it doesnt get smudged while applying sheer polish. After that i applied two coats of sheer polish and stamped roses over it. Finally applied top coat to seal everything. This is very unusual color combination for this kind of nail arts but I liked it very much and hope you will like it too. 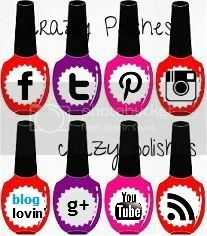 Check out other beautiful challenge nail arts don below.